Ausdroid Meta Discussions are where we keep you, the reader updated on our goings-on around the place. As an independent news site, we rely on you the reader to share our work, comment on it and a big part of our succes is thanks to you. Ausdroid had a big year last year. We saw our biggest numbers in terms of page views, we launched our own app (we’re working on G+ logins for Disqus guys), and we even got a second highly commended from The Lizzies, the IT Journalism awards. 2015 is set to be bigger. 2015 has kicked off with a bang, with trips to Spain to cover the launch of the HTC One M9, as well as Mobile World Congress. A trip to London for the launch of the Huawei P8 and to Singapore for the launch of the LG G4, but it’s not over, because next month, Ausdroid will cover the pinnacle of Android news: Google I/O, live, on the ground from the Moscone Center in San Francisco. 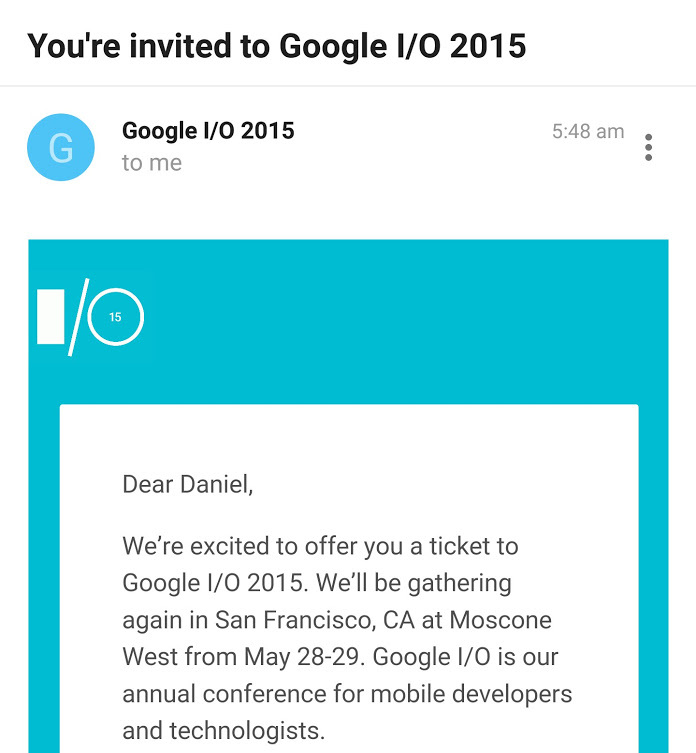 Yes, I`m going to Google I/O. Flights are booked, accomodation has been arranged, a Visa has been approved – Ausdroid is on the way. Massive thanks go out to Google Australia for the hand they had in arranging this, as well as to you guys, the readers, without whom we wouldn’t be even a blip on the Google radar. It’s a massive undertaking, and it’s quite frankly not cheap. While we’re not looking for donations from you the reader, we are going to look at sponsorships from companies to attempt to recoup some of the costs. If you’re from a company looking to get some advertising, we’re willing, ready and able to talk terms. Hit up the contact page, choose your preferred method and let us know, we’ll start talking. I’ll be live on the ground in San Francisco, so if you’ve got questions we want to hear them. Got a question about Google I/O I`ll try to answer it. Congratulations to the whole Ausdroid crew. I wonder when/ if local media outlets stop picking up the big multinational syndicated chain tech sites stories and start using real Aussie material. Very well done. Fingers crossed for a Pixel 2 in the sample bag!